Here’s a new and interesting challenge for the dedicated silent film researcher with a world view – Icelandic newspapers. 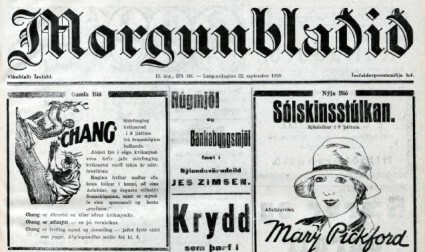 Timarit.is is a digital library of the printed cultural heritage as preserved in newspapers and periodicals of the Faroe Islands, Greenland and Iceland. It brings together the collections of the National Library of the Faroe Islands, the National and Public Library of Greenland and the National and University Library of Iceland. It’s an ongoing project, but there are already nearly three-and-a-half million digitised documents on the site. So what is there on film? Well, this is where the challenge comes in, because Icelandic is not one of the easier texts to navigate, and because I really only know one thing about Iceland and silent film, which is that it was the location for one of the longest, and most tedious, British films ever made, The Prodigal Son (1923), directed by A.E. Coleby, produced by Stoll, starring Stewart Rome and based on a novel by Hall Caine. In its fullest version the film was 18,454 feet in length, running to some four-and-a-half hours of screen time. I am one of the few who has actually sat through what survives of this film – the BFI has a version at a trim 9,118 feet – which it still took two long afternoons to get through. Funereal in pace, grimly histrionic, leadenly directed and singularly inept in its failure to make any creative use of its Icelandic settings, it is near the top of my top ten worst ever screen experiences. But it was made in Iceland, so what can we find about it in the Icelandic press of the time? And the answer is quite a lot. Typing in “prodigal son” (in quotes) into Timarit.is brings up sixty-nine results, which it helpfully subdivides into decades, so you can instantly see that there are twenty-four hits from 1920-29 (and it then further subdividies these by individual years). You also quickly see that the film’s title in Icelandic was Glataði sonurinn. There are pieces on its production in 1922, its release in 1924, and its reissue (to something around 6,000 feet) in 1929. There are no photographs, but there are advertisements, you are able to gain enough of an idea about its importance and impact. The presentation is excellent, with guidelines available in English. The search results given you a link to the title of the individual newspaper page, a line of text in which the search term appears, the date and page reference. Clicking on the link gives you a calendar (enabling you to browse adjacent issues), and a PDF of the full newspaper page with your search term highlighted. Thereafter it does depend on how strong your Icelandic is, but searching on some popular film names gives an indication of exposure and popularity – 547 hits for Chaplin between 1910 and 1929, 200 for Pickford, 272 for Fairbanks, 41 for Max Linder, and so on. Such hits usually lead you to advertisements for cinema programmes, so you can readly pick up an idea of what was being shown and when. Or just type in kvikmynd (film). It is possible to view text only (there’s a Text button on the left-hand column), so you can copy and paste text into Google Translate or whatever and get a rough idea of what’s going on. There was a small Icelandic film industry in the silent era. The first films (actualities) were made in 1906, the same year that the Reykjavik Cinema Theatre was established. The first locally-produced fiction film was Ævintýri Jóns og Gvendar (The Adventures of Jon and Gvendur) (1923), directed by Loftur Guðmundsson. A feature film, Saga Borgaraettarinnar (Sons of the Soil), was made in Iceland in 1920, but it was a Danish production by Nordisk films (Iceland did not become completely independent of Denmark until 1944). 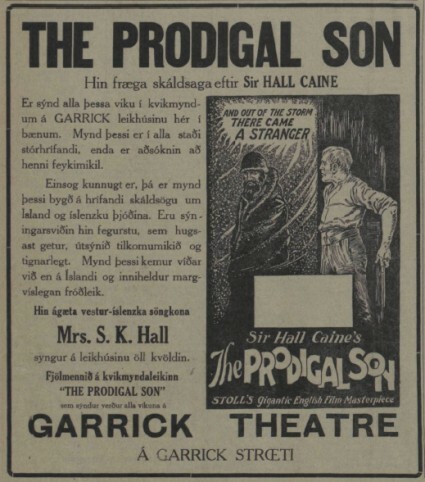 However, there doesn’t seem to have been a whole lot more that was produced for several years thereafter, so Icelandic cinema for our period chiefly means exhibition, for which there is plenty to discover here. All in all, Timarit.is is well worth investigating for the bold and adventurous among you. Go explore. Time to return to the art of silent film today, and this truly remarkable short film made by Ed Patterson and Will Studd at Aardman Animation. Entitled Dot, it tells of the struggles of the 9mm high Dot in her microscopic world. The remarkableness comes in that 9mm. The film was shot using a Nokia N8 12 megapixel camera with Carl Zeiss lens and a microscopic attachment entitled the CellScope, invented by Professor Daniel Fletcher, which is usually used for medical analysis. The film set was no more than a metre and a half long, and the objects were all painted under a microscope animated using tweezers. Dot herself was converted from drawings to a series of 3D object by use of Rapid Prototyping 3D printing technology that uses a computer-generated model of an object or character and then prints it in full 3D using a plastic resin material. The film which has been widely acclaimed for its smallest and its ingenuity, but should receive additional praise here for its wordless, impeccably visual storytelling. It is perhaps the most iconic of all photographic images. Eadweard Muybridge‘s running man (he made several photographic sequences of a man running, but I’m thinking of the one illustrated here) conjures up the very idea of photography. It has captured the instant, has brought a moment out of its specific time into all time. We can hear the click of the shutter. It is one of a sequence of twelve, any one of which can seen as representative, as all document the same action, but the point where both legs leave the air is the most quintessentially photographic. It is the image for which photography was made. It is the point where the nineteenth century turns into the modern age. It doesn’t just offer a view of the past – it makes the past coterminous with us. He started running in 1887 and he is running still in 2010. The plain background accentuates the timelessness, leaving us nothing to contemplate save bare, unaccommodated man. It sums up who we are: hurtling forward from who knows where to who knows where, yet never really going anywhere. It simultaneously celebrates and laughs at progress. The image has classical resonances. There is an echo of Ancient Greek statuary and the Olympic ideal, but the stronger echo is with Leonardo dan Vinci’s ‘Vitruvian Man‘ or the ‘Proportions of Man’, the idealised, perfectly proportioned figure inscribed within a circle and a square. Muybridge’s man, similarly ideally proportioned, is inscribed within a square. And Da Vinci’s image has an intimation of motion about it – the figure’s body is static but there are two sets of arms and two sets of legs, indicating that idealised man can only be revealed in movement. I run therefore I am. The image is about time itself. Just as in times past a skull might be used as a memento mori, a means for the observer to contemplate the death that must come to us all, the running man obliges us to contemplate the ceaseless flow of time. The image seeks to defeat time by capturing the moment – the science of sequence photography that Muybridge inspired was called chronophotography, which means ‘picturing time’. A photograph does not capture time in any actual sense; it is a chemical (or now digital) illusion. But it does capture the idea of time, a thing for contemplation. The image also represents the historical moment between the still image and the motion picture. Muybridge was interested in dissecting motion by capturing that which could not be detected by the naked eye, namely the individual elements of motion. He was not trying to create motion pictures (though he did experiment with these as a sideline). Motion pictures do not reveal the invisible as such; they replicate visible reality. But Muybridge’s vision and technical accomplishment led the way to motion pictures as others built on the logic of what he had established. It is right that he is the usual starting point for histories of film. The running man is also telling us a story. One of the most engrossing elements of the Muybridge exhibition currently on show at Tate Britain is how it leads us to imagine Muybridge playing out the psychodrama in his head following his acquittal for the murder of his wife’s lover (and she died soon after). Much has been made of the women in his sequence photographs, shown as they are in submissive, playful, dancing, teasing, eroticised or domestic roles. The men, however, are all going somewhere, doing physical, masculine things – lifting, wrestling, throwing, marching, chopping, running. Muybridge himself appears (naked) in some sequences, and just as we can see all of the women in the photographs as Flora Muybridge, so all the men are Eadweard Muybridge, emblematised as the man running for the sake of running, wanting to be doing something that it is good for man to be seen doing, without really knowing why. Then there is athletics itself. This is not just an image of a man out of time. It is a photograph, or a set of photographs, of an athlete. Competitive sports became hugely important in the late nineteenth century, and in 1878 Muybridge photographed members of the San Francisco Olympic Club. In 1884 he started work at the University of Pennsylvania, producing hundreds of photographic sequences, many of them showing athletes from the university. American universities were hotbeds of the new enthusiasm for sports, and sport was becoming an important expression of what it meant to be a (male) American. The running man is someone who ran with a purpose, who knew what it meant to run. The sequence photographs of the running man did not come out of nowhere. Produced as part of Muybridge’s Animal Locomotion series (1887), they came as the culmination of an exceptional career in photography. As the exhibition makes clear, Muybridge was a photographer of considerable accomplishments long before he started photographing galloping horses and running men. His work ranged from stereoscopes (3D images) to extraordinary panoramas. He was a photographer of landscapes and cityscapes, always able to capture something beyond the mere replication of a reality. Even before he began his motion studies in the late 1870s he was revealing something of the mystery of time and motion in his work. The necessarily long exposures that came with wet plate photography meant that the apparent instant is really a record of the passage of seconds. The passing of time is reflected in the stillness. The running man as an instantly recognisable symbol of what it is to be human is a part of modern culture. The man running ever forwards yet getting nowhere has been used in pop videos such as Talking Heads’ Road to Nowhere and U2’s Lemon. Videos inspired by Muybridge’s work, often inspired by the figure running endlessly against a black background with white lines, can be found all over such sites as YouTube and Vimeo, as modern artists demonstrate a compulsion to revisit his vision. Muybridge sequences have been used on posters, book covers, murals, television trailers and T-shirts. The running man even runs endlessly across twelve frames on the lenticular ruler I bought at the exhibition. And then there is the science. For all that we can philosophise about time, or see the image(s) as depicting a crisis in the idea of masculinity, or see them for the inspiration they gave to artists such as Duchamp, Bacon and Twombly (and Muybridge wanted to inspire artists), the running man and all the other Animal Locomotion sequences were commissioned by a body of scientists. The University of Pennsylvania paid him $40,000 to undertake work of a scientific character, and the committee than oversaw his work included an anatomist, a neurologist and a physiologist. The running man was there to be studied. He was demonstrating the processes of human motion, revealing action and musculature as it had not been possible to show before. The white grid on the black background is there for scientific reasons: to gain the measure of a man. The running man is not a complete work in itself. It/he is part of Plate 62 of Animal Locomotion; one of twelve images taken in succession (plus another twelve images giving a side-on view of the same action). It is one twelfth of a work that one cannot ever pin down. Looking at the twelve images in sequence does not really tell us what the work signifies; looking at one of the images does not give us the full work; looking at the sequence animated falsifies what Muybridge tried to achieve. And the man did not run forever, as the animations suggest. He ran from one end of the track to another. Then he stopped. Muybridge’s work is endlessly mysterious to contemplate. The Muybridge exhibition at the Tate is a marvellous experience, and you should go if you can. It covers every aspect of his remarkable career, clearly explained and illuminatingly displayed. There are his haunting images of the Yosemite, the breathtaking panoramas of San Francisco, hypnotically beautiful cyanotypes (the blue-toned contact proofs from which published collotypes were made), and a Zoopraxiscope projector with which he exhibited proto-animation ‘films’ on disc based on his photographic sequences. A little more context, in the form of the works of his peers and those he has influenced, would have been welcome, but of his work there can be no complaint. OK, perhaps just one. In the exhibition there is no Plate 62. There is Plate 63, in which the same athlete runs a little faster, and not quite as iconically (he leans forward too much). The quintessential Muybridgean image isn’t there. A new comedy film festival has been announced, named after Charlie Chaplin. The Charlie Chaplin Comedy Film Festival is intended to be an annual event held in Waterville, Kerry, Ireland. 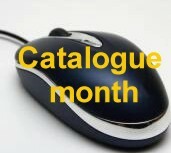 The first such festival will be 25-29 August 2011. 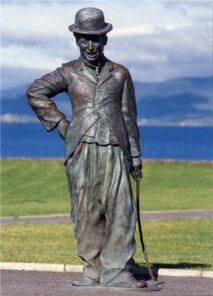 Waterville was a favourite holiday location for the Chaplins, and a statue of Chaplin stands there (one of a number of statues of Chaplin around the world, as documented in an earlier post). There isn’t much in the way of details about the contents of the festival as yet, but it will feature new films and be competitive (with the awards to be known as ‘charlies’), while its patron is Chaplin’s daughter Josephine. However, one does worry a little about a festival which has trouble spelling Chaplin’s name – until it was changed in the past day or two, the website’s banner was proudly announcing the Charlie Chaplain Comedy Film Festival. Ouch. Now this is fun. Europa Film Treasures, the online collection of film titles from archives across Europe created by Lobster Film Productions has introduced a new online tool, Sound Workshop, with which you can produce your own soundtrack for one of their silent films. The site (developed in partnership with Court-Circuit, an Arte programme dedicated to short films) is a free service that offers you clips from seven films on the Europa Film Treasures site. You can then select from a wide range of sounds (under four categories: cartoon, sound effects machine, natural or science fiction), music (three ragtime tracks only) or sounds that you have uploaded yourself (if you have registered with the site). Sounds available include birds singing, car horns, percussion instruments, water running, whizzes and whooshes, fire alarms, telephones, doors opening, boings and crashes. Having made your selection, you are presented with a sound mixing page (see above) where you can drag and drop your sounds onto three tracks. Anyone can select the sounds and play back the finished video, but only registered users can save the results and have it made available on the site’s gallery. The Bioscope had a go with a short sequence from Les Kiriki – Acrobates japonais (1907), a marvellous trick film with gorgeous stencil colour by Segundo de Chomón featuring a troupe of acrobats achieving impossible feats. My efforts aren’t going to put any silent film musician out of a job, but you’ll get the idea (it’s listed under Urbanora), or test out the interesting range of efforts from other users available on the gallery and add comments if you feel so inclined. Should you want to have a go yourself, do note that the films take a little while to load before you can start playing with them. You can test the sounds beforehand by clicking (and holding down the click) on the arrows for each sound option, and having played back the results you can re-edit before recording. When you have made a recording it doesn’t appear automatically on the site – it took some hours for my video to be published, probably because I created it late in the evening. It appears that the work is done by real humans (‘your results will be put online by our team soon’ it says when you have clicked ‘record’), which seems bizarrely laborious in this day and age. Also I submitted more than one video, but only one made it to the gallery. It all feels a little bit uncertain. Sound Workshop is a bright idea, if a little creaky in execution. Nevertheless, praise is due once again to the consistently imaginative folk at Lobster for coming up with a new way to engage audiences with silent films and to demonstrate just what new opportunities exist for such content once it exists in digital form and online. 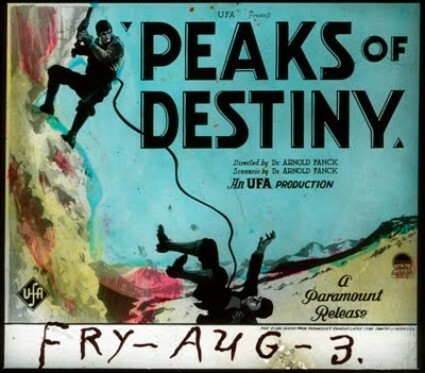 Coming attraction slide for Peaks of Destiny (Der Heilige Berg or The Holy Mountain, Germany 1926), from Starts Thursday! I was doing a bit of tidying up of the links on the right-hand column, and when I came to the blogs I noticed that a number of those listed there haven’t been updated for a while. It’s a bit of a slog keeping up-to-date with a blog (believe me), but blogs can go through fallow periods and then revive, so I won’t be removing any for the links just yet. But what I have also noticed is a number of new blogs on silent films have been turning up. And so here’s a round-up of the best of silent film blogs old (but still active) and new that you are warmly encouraged to follow. Tom Stathes’ blog is dedicated to ‘musings, studying, and collecting of early animated film’, though it is not updated as often as it used to be. An authoritative and well-illustrated blog on early cinema technology, written in Dutch but with English translations. 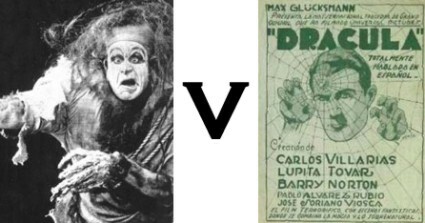 A scholarly blog (in Spanish) on silent cinema in Mexico, written by Luis Recillas Enecoiz. Recently-launched blog by Donna Hill on the other Gish sister, which will document the writing of a new biography. Linda Wada’s entertaining blog on Edna Purviance also covers Chaplin subjects and silent cinema in general and is consistently informative. Heslewood is Keeper of History at the Harris Museum & Art Gallery, Preston, and her blog documents research into local filmmaker and film businessman Will Onda. A fascinating photo blog on those around the world who have dressed up Charlie Chaplin’s ‘tramp’ character. Quite unique. Reviews of silents films (some familiar, some fabuously obscure) undertaken by a ‘German count’, written with insight and exquisite comic style. Media historian David Fisher blogs on early film and related media. A shame that he cannot post more often. Thomas Gladysz’s discursive, exhaustive blog on Louise Brooks, her films and her times. Billed as ‘A Celebration of the King of Comedy and his Studio, Films and Comedians’, knowledgeably written by Brent E. Walker, author of Mack Sennett’s Fun Factory. Stephen Herbert’s admirable blog on photographer and founding father of motion pictures Eadweard Muybridge is both reportage and research in action, as new discoveries mingle with alerts to new events, publications, online resources and much more. David Bordwell and Kristin Thompson’s blog on film art and film style is in a different league to the rest of us and is helping to rewrite how film studies can be done. Its frequent investigations into silent film subjects (often in the context of later film style) are essential reading. Good-looking general blog on silent cinema, written by David Holm, in Galician. One of a number of authoritative blogs and websites on Italian silent cinema (all in Italian) maintained by the prodigious Teresa Antolin. The San Francisco Silent Film Festival’s blog covers silent film news in general as well as the festival and it has become an essential information source in just a short period. Silent film musician Ben Model’s entertaining blog including video blogging with reports on the festivals at which he plays. If only silent film musician Donald Sosin were able to sound off a little more often. Christopher Snowden’s witty, mischievous blog draws on an extensive personal archive of stills and film journals to relate an alternative history of American silent film. Engaging personal reviews of silent films by Chris Edwards. This is a joy. Rob Byrne’s subject, the glass lantern slides that promoted coming attractions in cinemas from the silent era well into the sound era, takes a seemingly narrow subject and produces riches. Beautifully illustrated and unobtrusively knowledgeable. A bit quiet at the moment, but previously a very useful information source on silent film in German (the site is in German) and elsewhere. There are many more silent film blogs, or part-silent, part-talkie blogs, than these, but these are mostly all being kept up-to-date, and they each stand out for their individual style and effective use of the blog form. If you have favourites of your own that should be added to the list, please say.